I am a total sucker for Historical books, especially when there's time traveling involved. However, I still have mixed feelings about Dark Mirror. Some parts I liked, other parts not so much, and this constant "I like it-nah,I don't" was kinda frustrating. Let me start off by saying that the summary at the back of the book is quite misleading, in my opinion. Don't get me wrong, the stuff in it do happen. But summary only covers the first half of the book. The second half, after she finds the mirror that is (not much of a spoiler, it's on the cover) is another thing entirely. 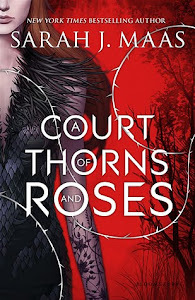 Thing is, the second half of the book holds all the important parts, the jist of it, all the action and the character development, whereas the first half plays more of an introductory role. So, I guess I'd like the transition between the 1st and 2nd half to be smoother, instead of going from a relaxed, laid back mode to smack dab in the middle of World War II! Tory, the protagonist, was likable enough. Clever, courageous and considerate of others. Although we didn't get to see much of her and Allarde together, nor learn much about Allarde, I enjoyed their short conversations and their exchanging views about relationships and how each of them think they must be. I liked the Rainfords very much and I found their love for their father who is a soldier long-lost in the war, very touching. The other charters weren't as developed and fell kinda flat. 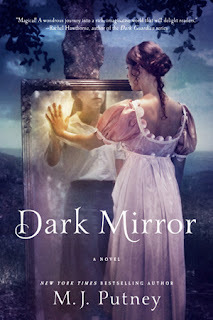 It's safe to say that Dark Mirror is a Tory-centered book and everyone else pretty much revolves around her, her actions and decisions. I am not sure if I'll follow Tory's next adventure because this one wasn't as exciting as I expected. If you are into Historical WWII stories however, you should definitely give Dark Mirror a try. Sounds great. I've heard about this one but didn't realize it was about WWII. I really like that era, so I'm more interested in picking it up now.